What benefits have buyers mentioned in their reviews for this Fender Passport Event? This model has a seven channel mixer for lots of different options for the performance. This helps to open up its appeal to users from different backgrounds. It is designed for musicians to be able to add different instruments and pieces of equipment. It also proves to be useful for speakers and other people that need to project to an audience on a regular basis. An additional benefit is the use of controls for reverb and tone to add more customisation to the set-up. The sound quality is meant to be “crystal clear” for clarity over those medium-sized venues. Buyers seem to agree that it does well around the 250 people capacity mark. Any more and the sound may struggle to carry clearly enough. This performance is enhanced by the use of both the Bluetooth capabilities and the portable design. Users can wirelessly stream audio files from their mobile devices to add depth to a performance or lecture. The compact shape does a pretty good job for its designated function and means that it is easy to carry around between venues. It has a cabinet shape that means that it can be flipped open to reveal the items and is closed back up with the latches when the event is over. 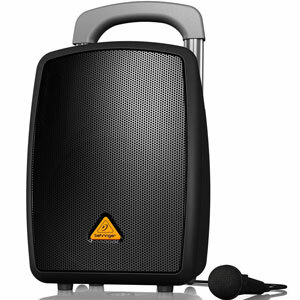 Are there any clear downsides to this Fender Passport Event PA System that buyers should be aware of? 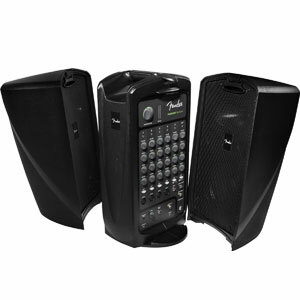 The feedback for this portable sound system online shows that an impressive number of buyers love this speaker. However, there are issues to be aware of. There is a small issue in that there is no battery power opti here. This has to be plugged in at the mains, which could be an issue when choosing a place to set up. Some criticise the lack of bass as well, but this is only really an issue for the DJs among the reviewers. It is not really going to be noticed by the church speakers. Finally there are those that say it is a little bit heavier than some expected at 42lbs, but not too bad. 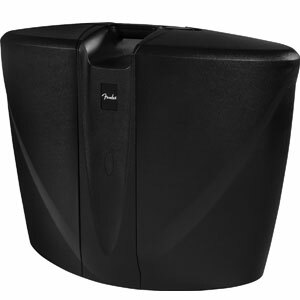 Summary: does this lack of any major criticism mean that the portable Fender PA System is highly recommendable? In the end, there are far too many positive reviews on the sound quality produced by this system, the overall quality of the product and the other features not to recommend this model. There are always going to be those that say that they should have gone a size up, but there are plenty of warnings about the capabilities of this model. 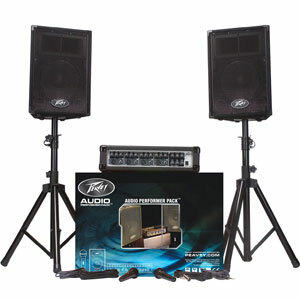 This Fender PA sound system was designed to appeal to musicians and speakers at mid-level functions and gigs and it is has definitely met its aim in that regard. 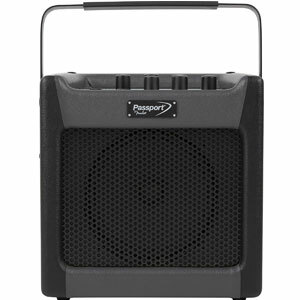 Find more reviews about the Fender Passport Event PA System on Amazon here.